39th Annual Home Expo Is Here! 39th Annual Home Expo and our Second year at The Albany Capital Center venue is starting off to be a great weekend! 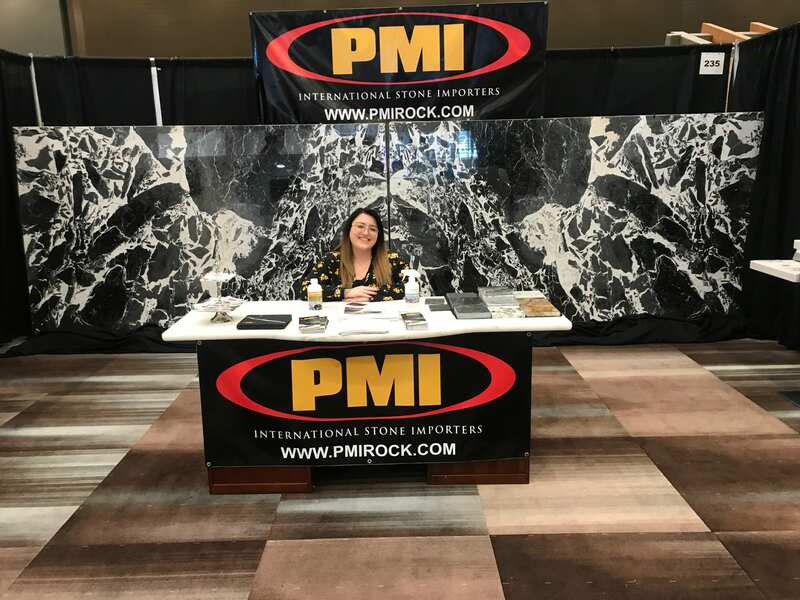 Meet our local vendors, visit the in-booth demonstrations taking place as well as free giveaways throughout the show. Come in out of the cold, and feel spring in the air! The most wonderful time of the year shouldn’t be put on hold just because of a little cold weather. Even though outside it hasn’t been the best, inside at the Home Expo the grass was green! It really has felt like a spring was here in the home and garden booths around me. All the attendee’s are ready to start remodeling and/or building projects, and looking for the latest trends, fresh ideas and great deals. With hundreds of experts under one roof you are sure to find what your looking for. Come Join the excitement, there’s only two days left! If your looking for inspiration, I invite you to attend the 39TH Annual Times Union Home Expo, come see me in booth 323! The majority of commercial and residential driveways are finished with either asphalt or concrete. Both are cost-effective, but asphalt comes with more benefits. If you’re paving a new driveway or refinishing and existing one you’re probably wondering about the relative benefits of asphalt over concrete. L.Browe Asphalt Services is ready to answer your questions. 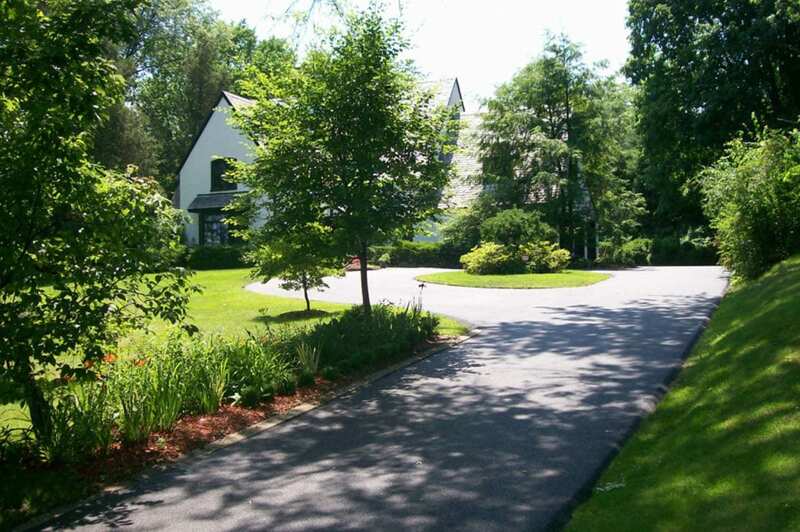 An asphalt driveway can usually be laid in one or two days, depending on the size of the project. Concrete, on the other hand, typically takes twice as long to lay and even longer to set. 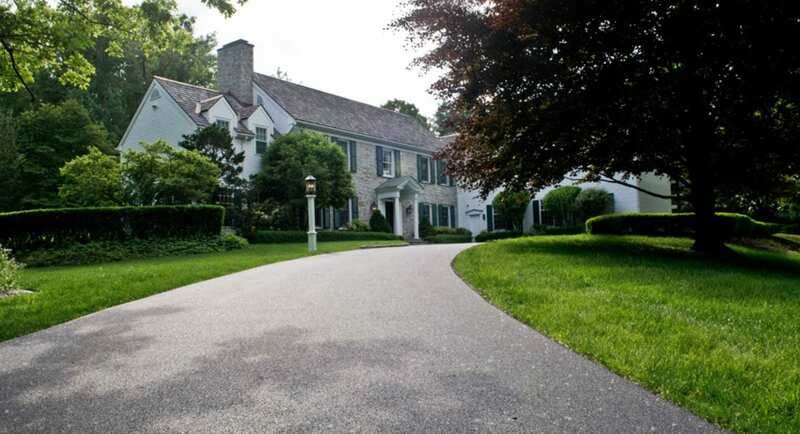 Depending on the season, asphalt driveways can be ready for use in as little as two days after completion, whereas concrete can take up to a week to cure. 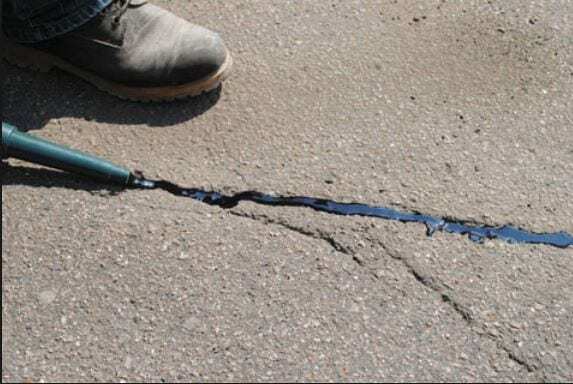 Unlike concrete, asphalt is not subject to surface flaking caused by poor installation, incorrect preparations of the mixture or the application of salts to melt ice and snow. 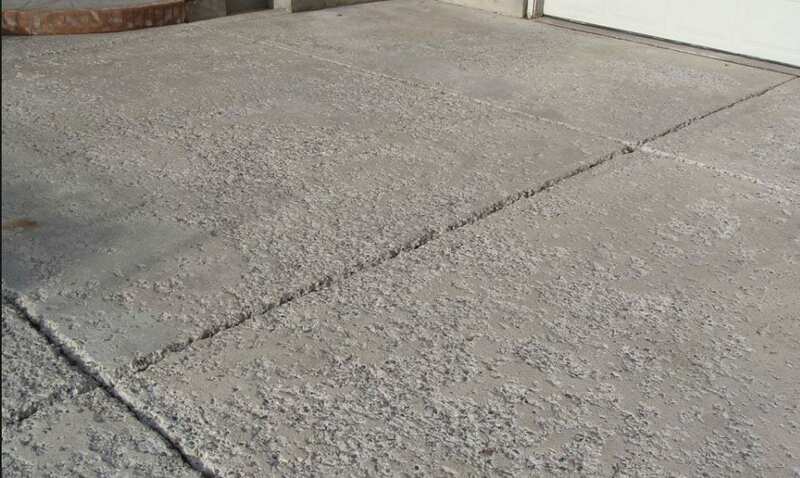 Known as ‘spalling,’ this surface flaking is an ongoing problem with many concrete driveways, especially those that were hastily installed. Given its flexibility, asphalt is also considerably less likely than pavement to crack over time. If your asphalt driveway does start to show some lineal cracking, you can repair these easily and inexpensively. The crack sealant products you need are widely available through home improvement retailers. They don’t cost very much and can easily be applied on your own, even if you have absolutely no previous paving expertise. In addition, regular preventative maintenance, like crack filling and seal-coating, can extend the lifespan of your asphalt driveway to 20 years or more. Concrete is more difficult to maintain, because it cannot be heated and repaired with the same ease as asphalt pavement. Need help maintaining your asphalt? Give L. Browe a call 518 479-1400 Janeen Browe will be happy to get you started with a free estimate! 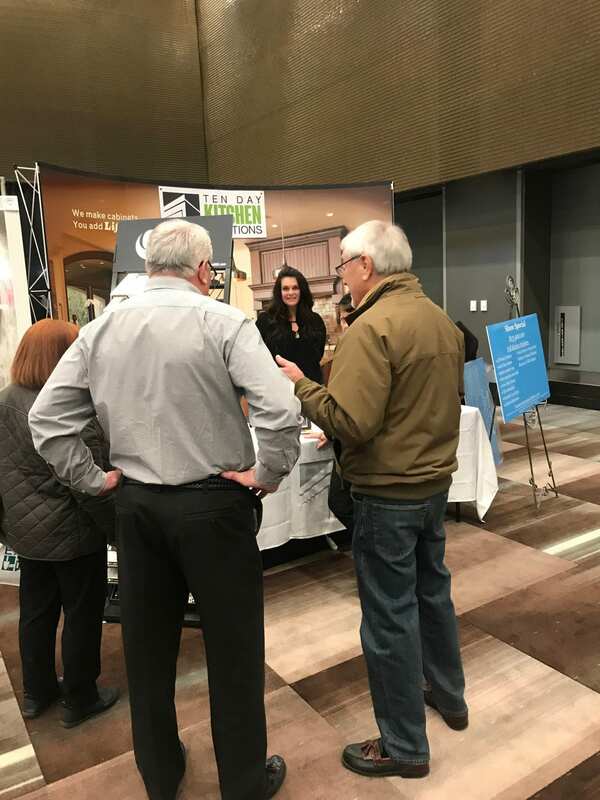 There was an exciting vibe here today, with the economy growing the crowd is ready to take on some new projects and the atmosphere at the home expo was bustling with information for its attendees. 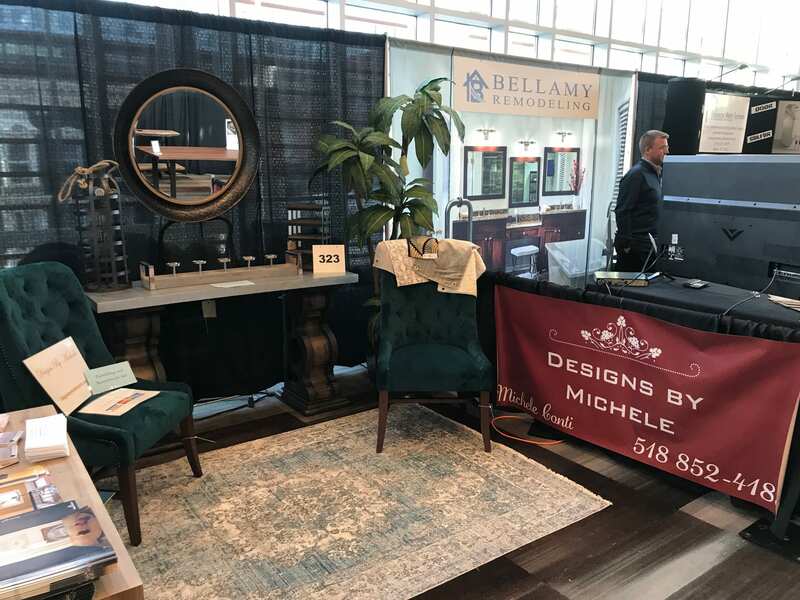 Demonstrations and giveaways are on hand at several vendors the attendees are here to Renew, Refresh and Restore your Home! 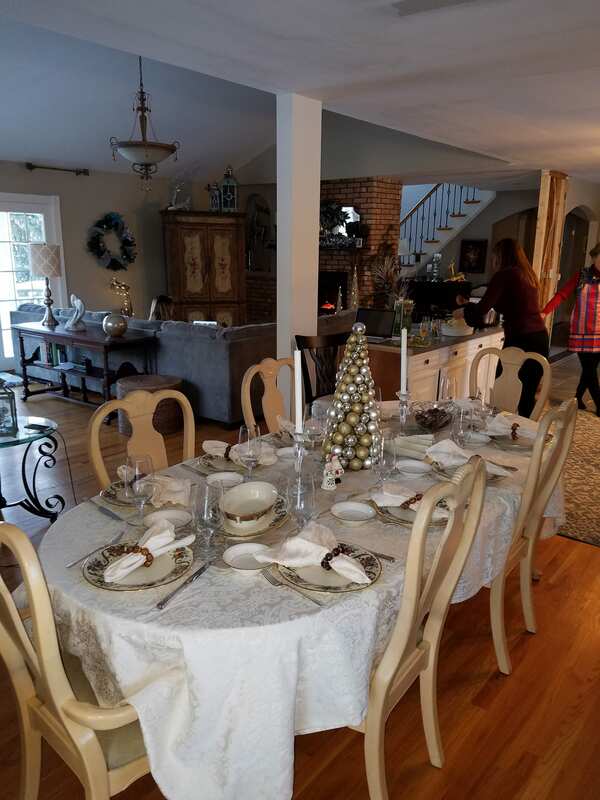 As an interior designer I know the importance of having a good plan to follow, let our vendors help guide your project with budget as well as and idea of a time line for your project. Need help? Visit me, Designs by Michele at booth #323 I’m here to help! Come in sign up for a free Consultation! 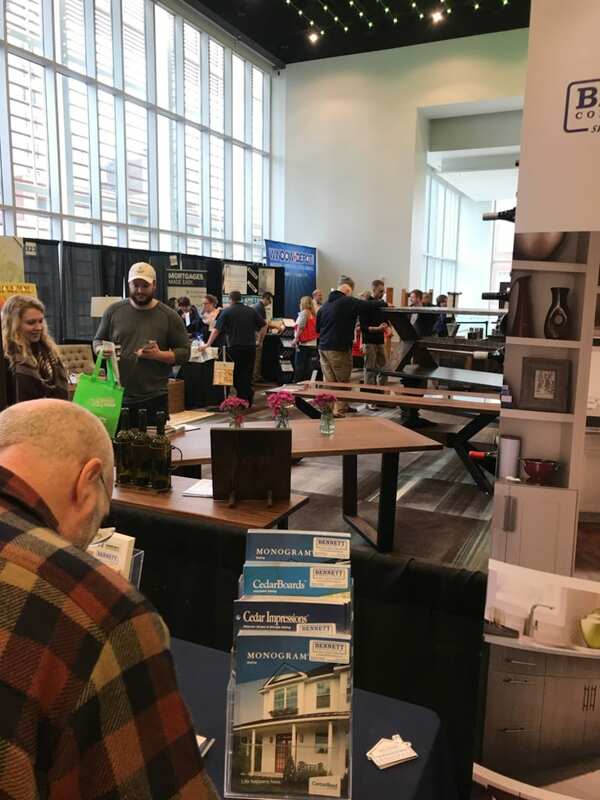 At the Times Union Home Expo everything that you need to turn your home and garden dreams into a reality can be found under one roof. Explore hundred of vendors and exhibits, and engage with more than a 1000 experts! Remember to visit CRBRA at booth 103A and get your free ticket to the Parade of Homes! Come on down you only have one More Day to visit the Home Expo ! 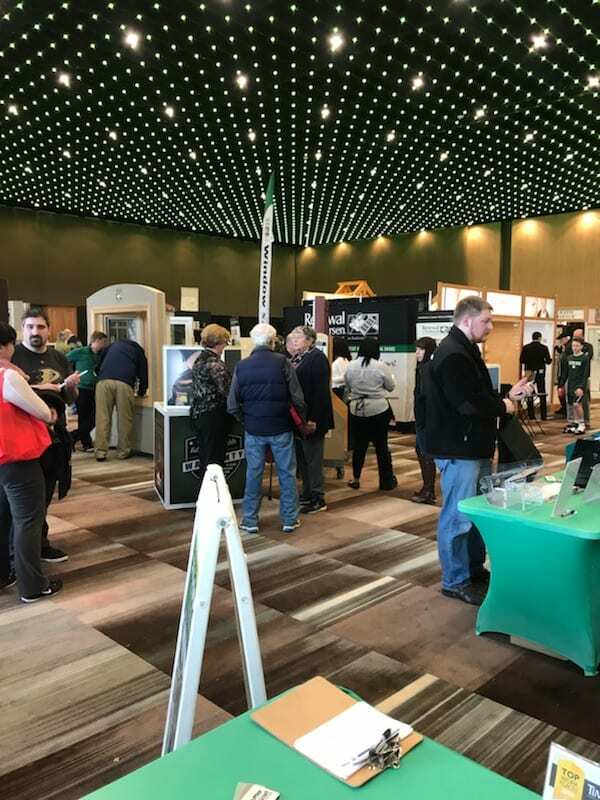 If you are building or renovating you don’t want to miss our last day at the Albany Capital Center! I look forward to meeting you! 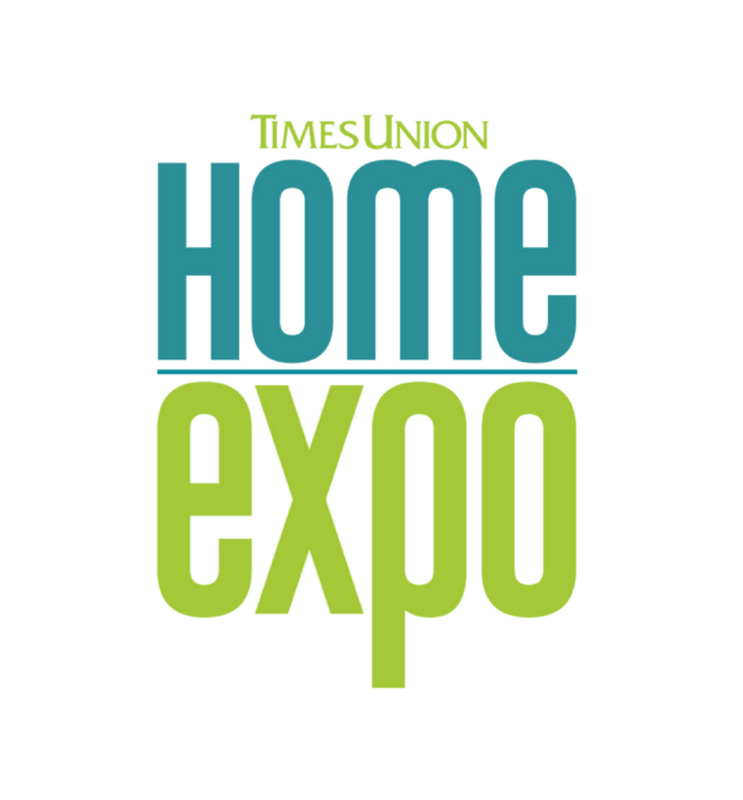 I’m excited to announce the Times Union Home Expo is only 3 days away! If you are a gardener, DIY’er, project lover or flea market shopper, shop at the 38th Annual Home Expo for creative ideas and connections to make those dreams a reality. Meet A-list local contractors. See the largest collection of luxury and premium kitchen, bath and building products. Find everything to build, remodel or update your home including state-of-the-art appliances, cabinets, tile & stone, windows, doors, solar and other energy saving systems. The Times Union Home Expo will put you in touch with vendors offering a wide variety of fresh high quality, products and services. Start your next project here, with builders and contractors that provide will the highest level of customer service you want and expect! 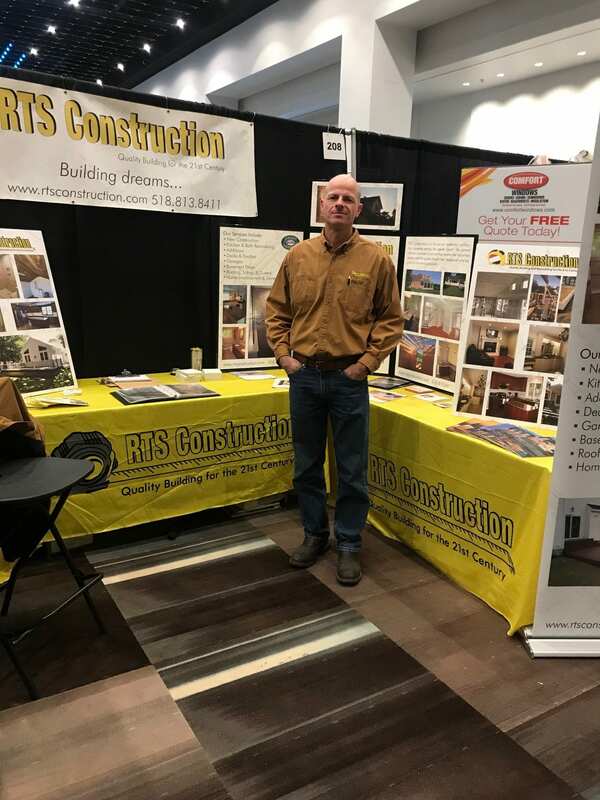 Whatever renovation project you are starting or if you are thinking of building your next new home, you don’t want to miss this informative home show. Be sure to ask our vendors questions and learn the ABC’s of your project! Doors open Friday February 8th at 3:00. Show attendees can find inspirations, products and get expert advice from our many vendors! Please visit Designs by Michele, I’ll be on hand at booth #323 for a free design consultation. Maybe you need help choosing colors for a small facelift on your home, ask me questions about your impending home update. 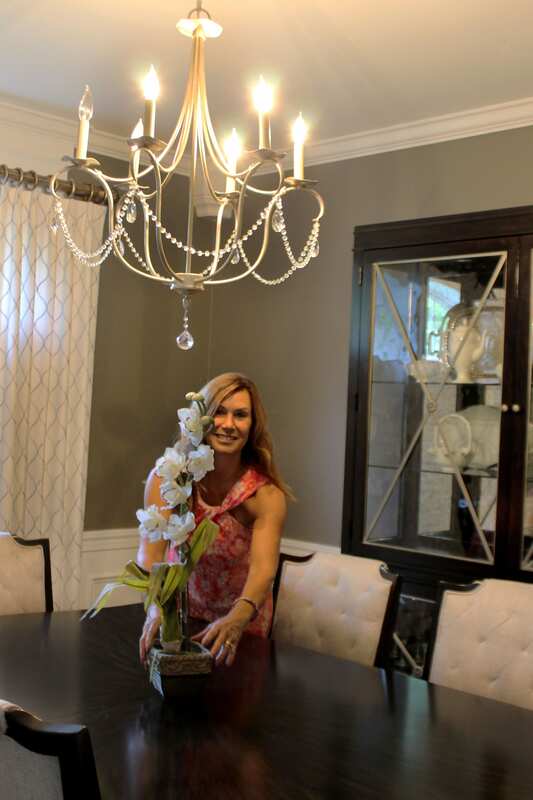 I’m here to help with design, color, furniture, lighting, window treatments and more! Providing professional services at any stage of your remodel, an eye for every detail no matter how big or small. I’ll help you achieve the best possible outcome for your next project. 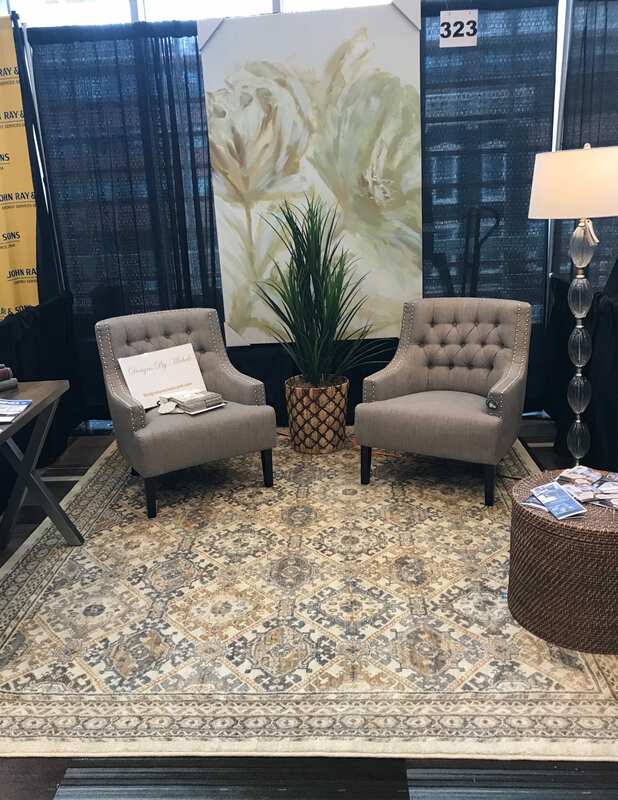 Stay tuned for more exciting Adventures in Styleland, at the Times Union Home Expo! See you Friday! 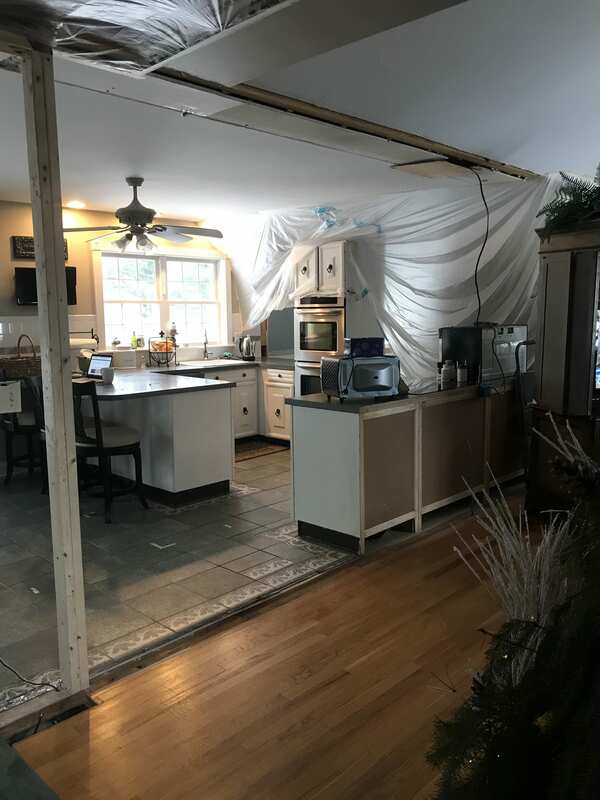 All home renovations are at least a little disruptive, but a lot of them can really cause your whole home to become a giant mess. 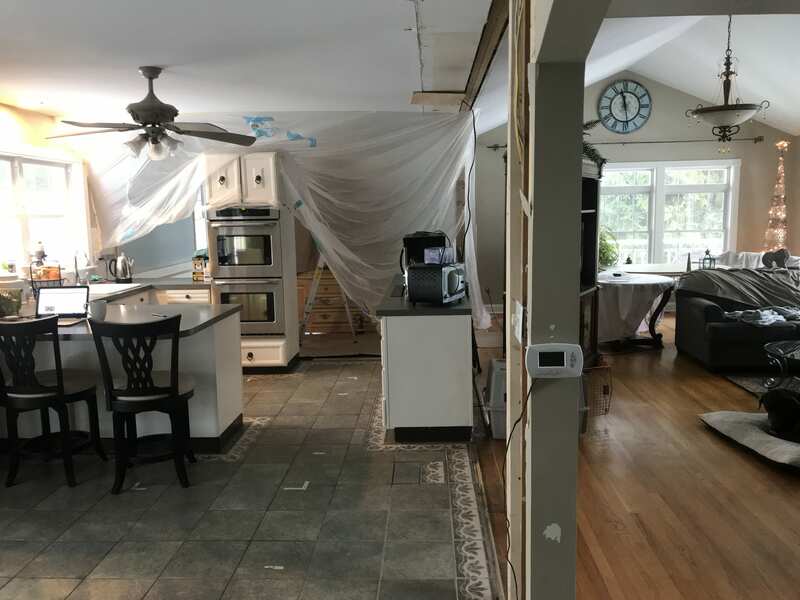 We’ve had a few DIY renovations that definitely fall into that category, but this latest one has definitely been the messiest, dirtiest renovation so far. You often need to be extra aware of your cleaning tactics to keep your home clean during a renovation and this has definitely been the case for us with this latest kitchen project we’ve been working on. 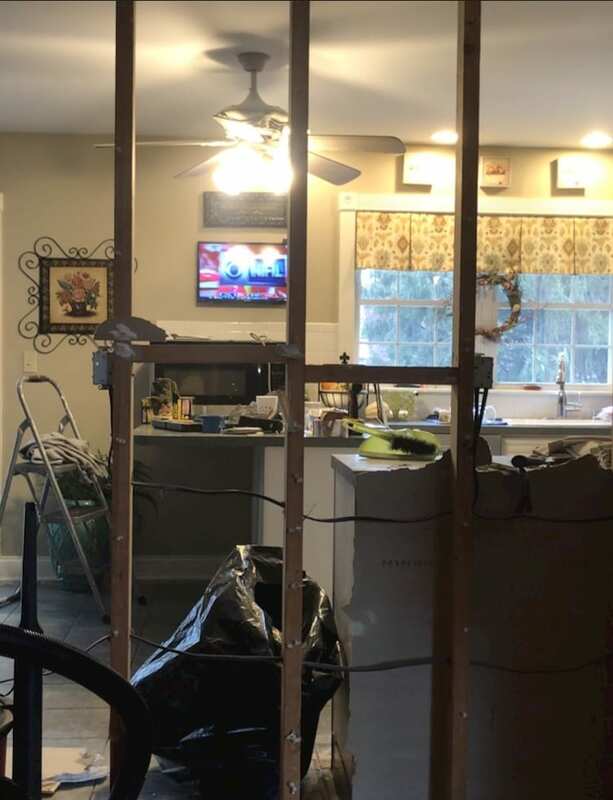 We (or should I say “I”) decided real-quick that we were not going to want to live with all the sheet rock dust, so we stepped our game up right then and there. So here are some of our favorite tips for keeping your home clean during a renovation if you’re going through the same thing! Gabe makes a pretty big mess throughout the day while he’s working, but he always puts everything away and runs a vacuum over the area before calling it a night. I asked him what his best tip for keeping things from getting too messy in the rest of the house was and he said “Marry a construction manager who takes really good care of his work area.” Ha. He’s right though. Whether it’s you who is completing the work, or whether you’ve hired it out, having the discipline to leave your work area clean at the end of every day really makes such a difference. Unlike the first day I came home lol Gabe always blocks off the work area. You won’t be able to contain dust and debris 100% no matter what you do, but if it’s at all possible, consider hanging plastic over doorways that separate the area you’re working in from the rest of the house. It may look a little extreme, but it will really make a difference. Dust will still spread, because dust is tricky like that, but it will probably only be mostly within a few feet from your plastic-covered doorway and you’ll be able to vacuum that right up. Dust is a pesky thing. It often builds up slowly and you don’t notice it’s there until you really notice it’s there. 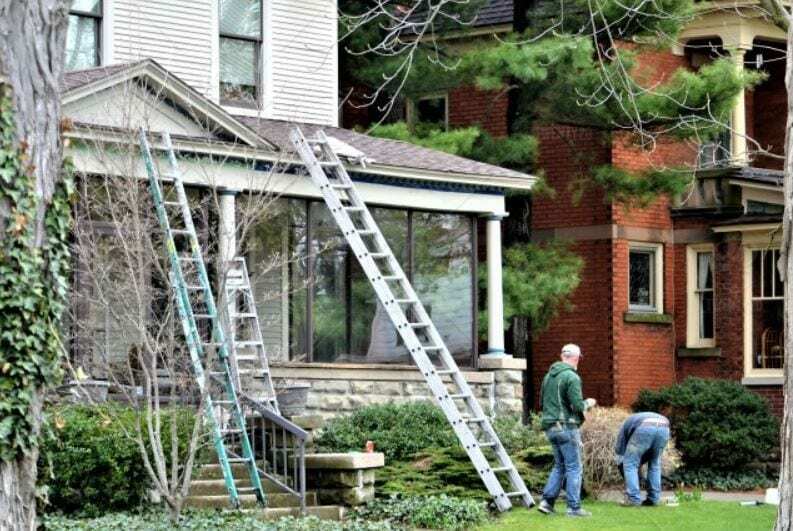 When things get to that point, it can be a pretty big job, which can seem fairly overwhelming and frustrating when you’re also busy with a renovation project. You may not know why at first, but your whole home can feel kind of icky during a renovation and that’s usually because of the dust that somehow seems to make it into all the far reaches of your home. If you keep up with your dusting, even just for a minute or two each day, things will definitely feel more normal and under control in your home. I hate to sound like a broken record here, because I feel like I mention this as an important step in so many cleaning situations, but vacuuming and mopping really is key. When it comes to keeping your home clean during a renovation, your mop and shop vac are your best friend! If you’re about to renovate, this is not the time to make yourself frustrated, just take the half hour at the end of the day to clean up. 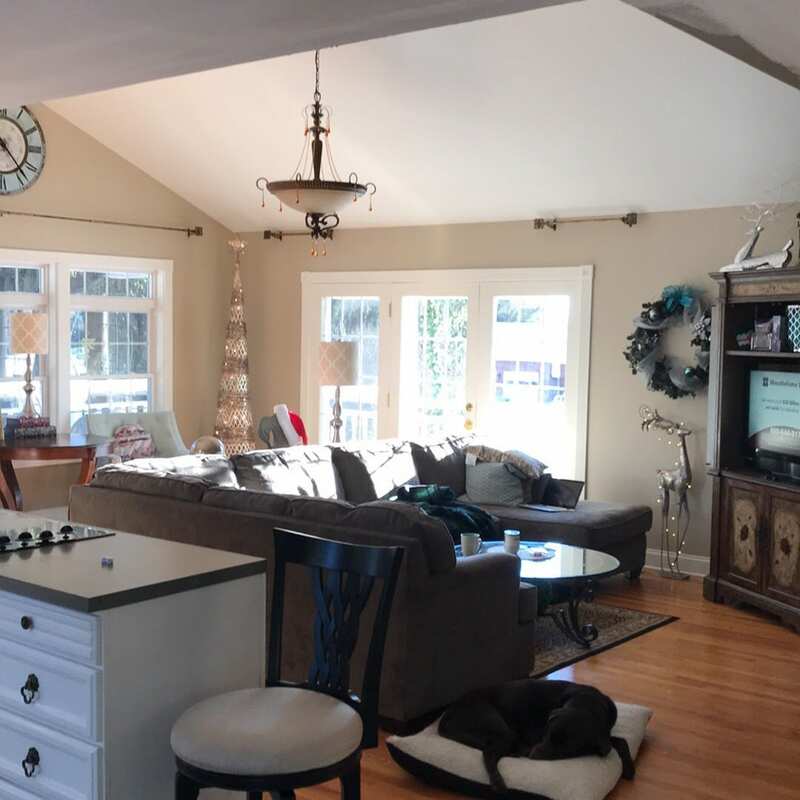 Being able to avoid even just a little bit of the stress and disruption that often comes with a home renovation will allow you to enjoy the process of creating a more beautiful home for your family rather than dreading it. Keeping your home clean the way that you’re used to is definitely the first step in the process of reducing your renovation stress! What tips do you have for keeping your home clean during a renovation? Let me know! The renovations around here are pretty much non-stop, so I can always use a few extra tricks! 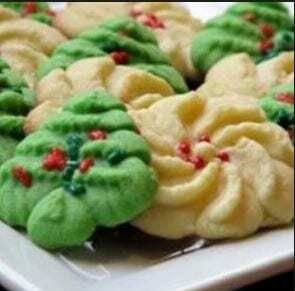 Sweet and Simple Butter Cookies…Merry Christmas! 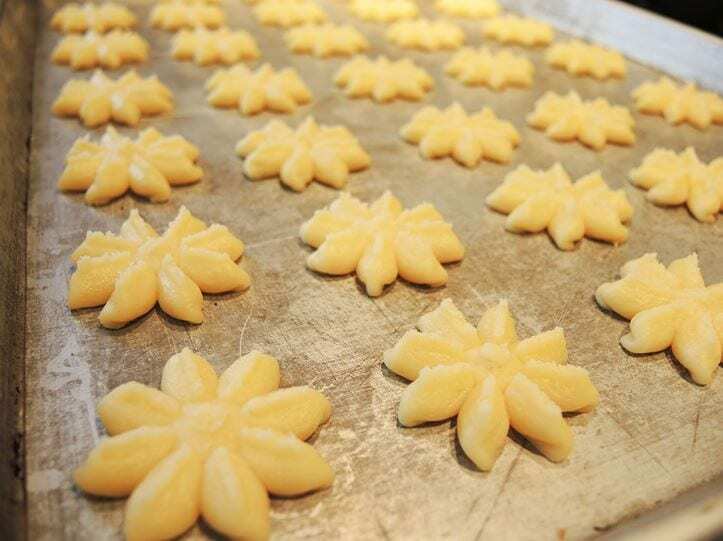 With cookie press pipe the dough onto a parchment lined sheet pan spaced about 1 inch apart. Bake for about 12 – 17 minutes or until the cookies are lightly browned on the edges. 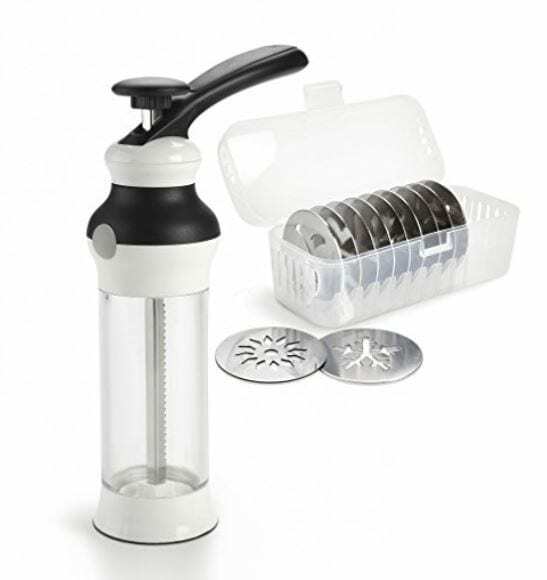 Cool completely and fill with jams, chocolates, ganache’s, buttercream or your choice of fillings and adorn with nuts or sprinkles of your choice. Whether you’re leaving a plate out for Santa, or sharing with everyone at your next get together, cookies are the perfect treat for the holiday season. To celebrate this festive time of year, I wanted so share a recipe that’s sure to satisfy your sweet tooth. Place them in a mason Jar or cookie tin and share with family and friends. This diy gift is sure to be a hit! 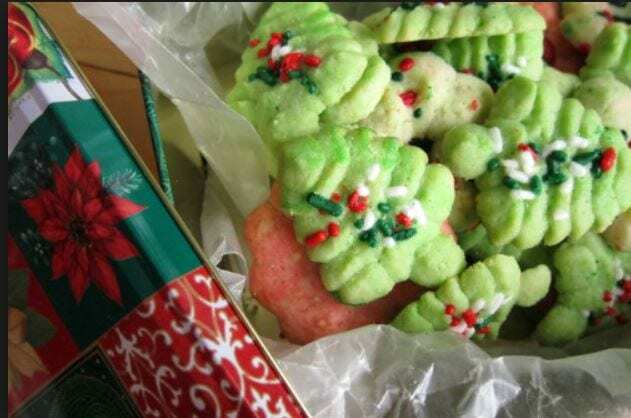 My mom would always count her cookies, and make sure we had enough to share….so enjoy your holiday and remember to always count your cookies…. 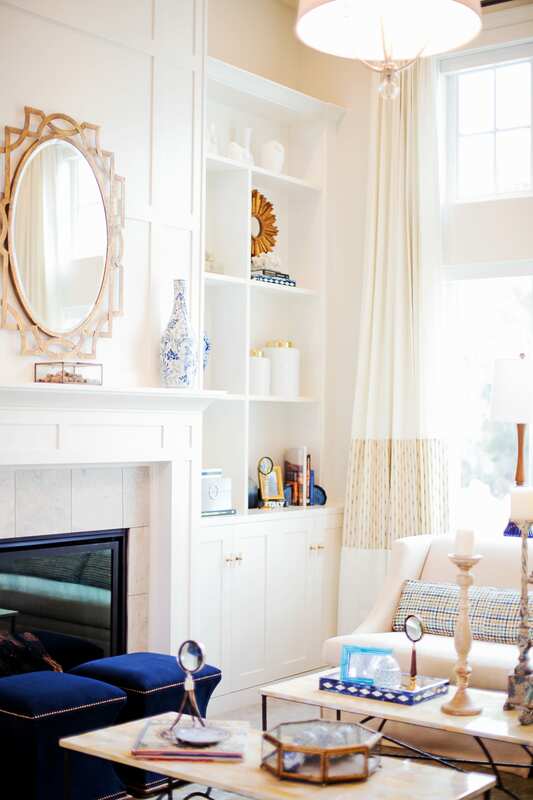 Good design can make any room look great, but for the average homeowner picking out the right furniture pieces, fabrics, and rugs for your living space can be a daunting task. I’d like to share a few thoughts to help you decorate your home. 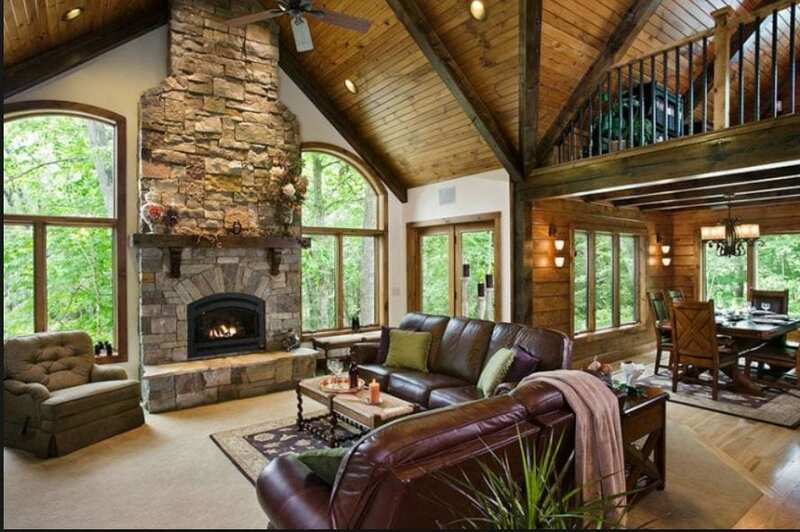 Begin with establishing your style along with correct balance, proportion and scale of furnishings and decor. When it comes to decorating inspiration, a photo is definitely worth a thousand words. The hardest part for many of us is ‘styling’ your room. 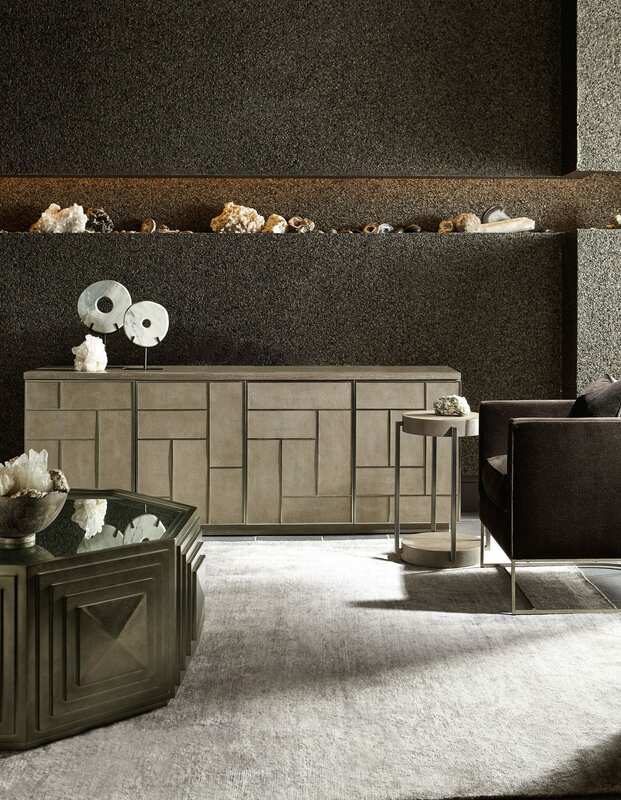 We think of ‘styling’ as a way to arrange furnishings and display the decorative objects that you’ve collected and love. It’s that final touch that takes your furniture pieces from simply functional to fabulous. 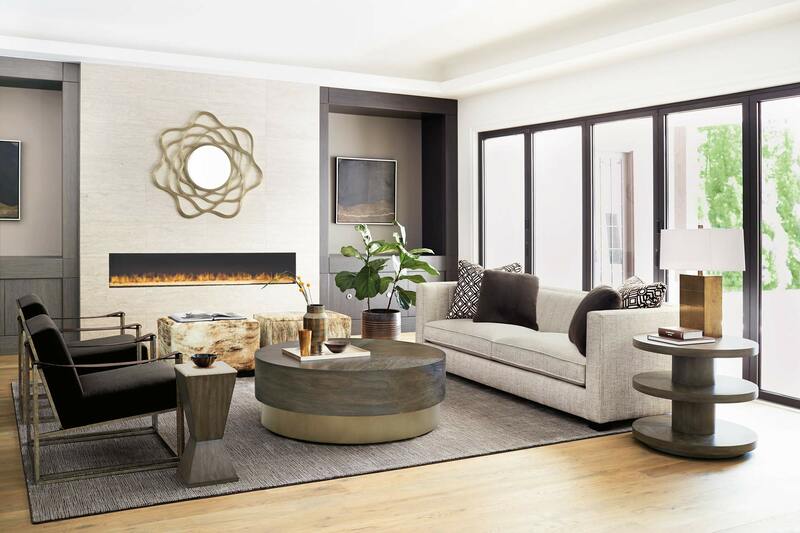 Neutrals For Large Pieces – The sofa and arm chairs are likely to be your biggest investment pieces in a room, get them in neutral colors to give yourself the most flexibility. Anchor the main pieces of furniture in the space to define the area; if your space is large, a great cost effective tip for carpet is to use an inexpensive large sisal rug to cover most of the area. Color – is an obvious strategy when styling, and as a general rule, I recommend editing down your colors to three or four. If you want to add a punch of color pick 2 smaller accent chairs in a vibrant shade or print, which gives you more flexibility than a bright sofa . 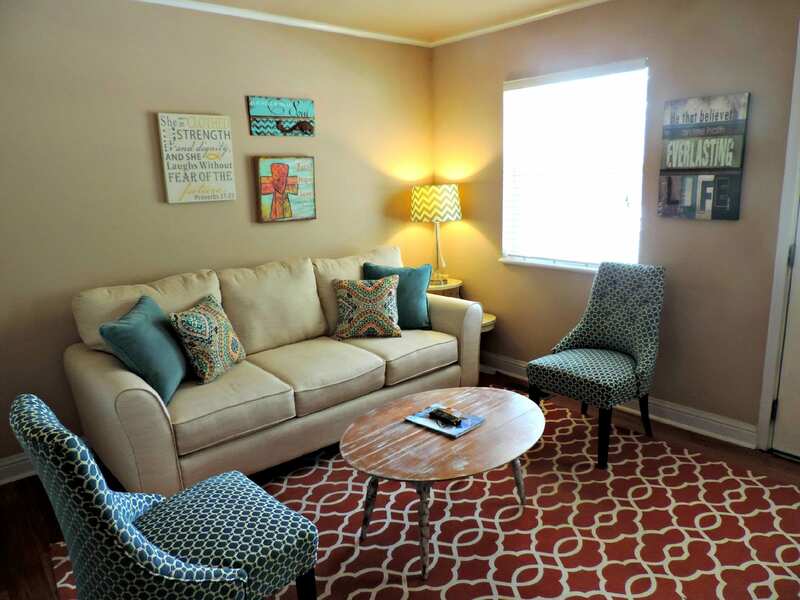 Pull accent colors from the rugs, window treatments, or art in your room. 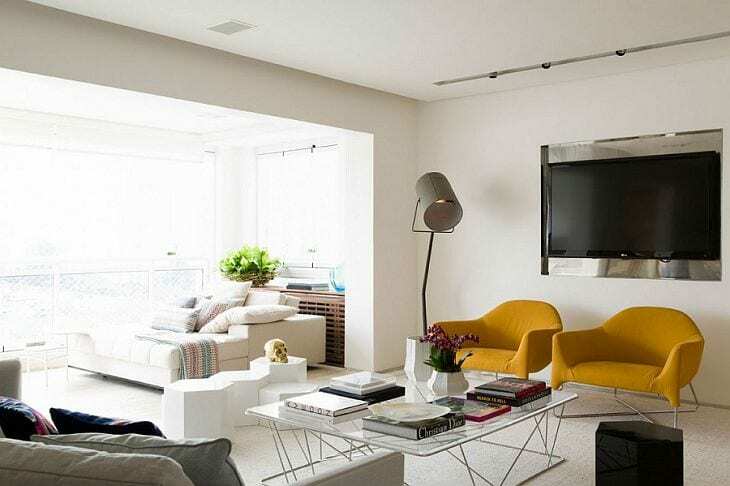 Shapes – Thoughtful space planning means setting up enough side tables and coffee tables for the seating you have, so that there is a place for guests to set a glass down but it’s important to have a mixture of shapes. 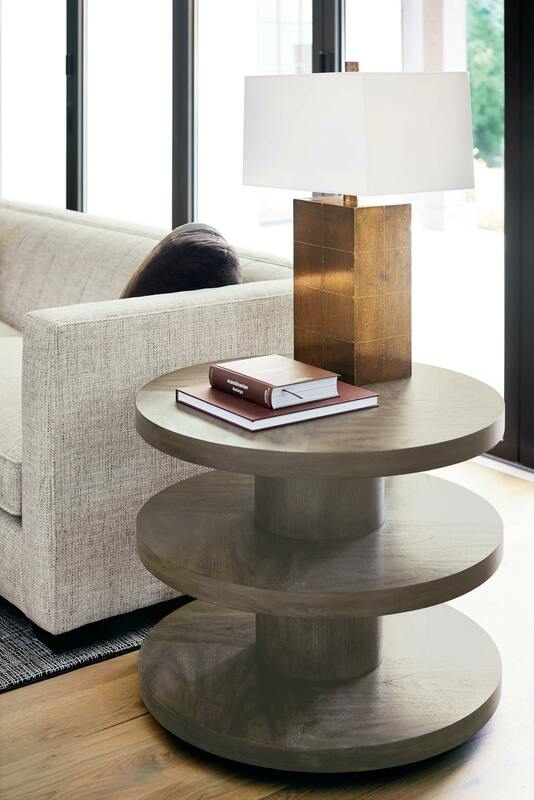 If you have a very angular console table, mix in some round shapes, like lamps, sculpture, or art. Most of the seating furniture is angular, the side and coffee tables in a round shape are a nice counterpoint. 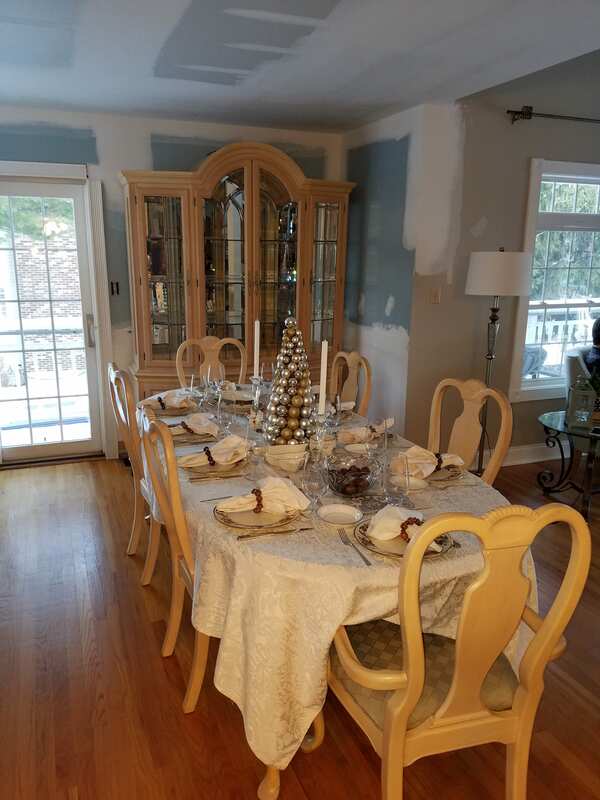 Don’t match the tables either – it’s much more interesting visually to mix and match different materials and shapes. Balance with Accessories – One of the most important strategies when you’re styling any piece is to vary your heights. This helps your eye move around which creates a more interesting arrangement. If you have a tall lamp, use something shorter, like a stack of books for balance. 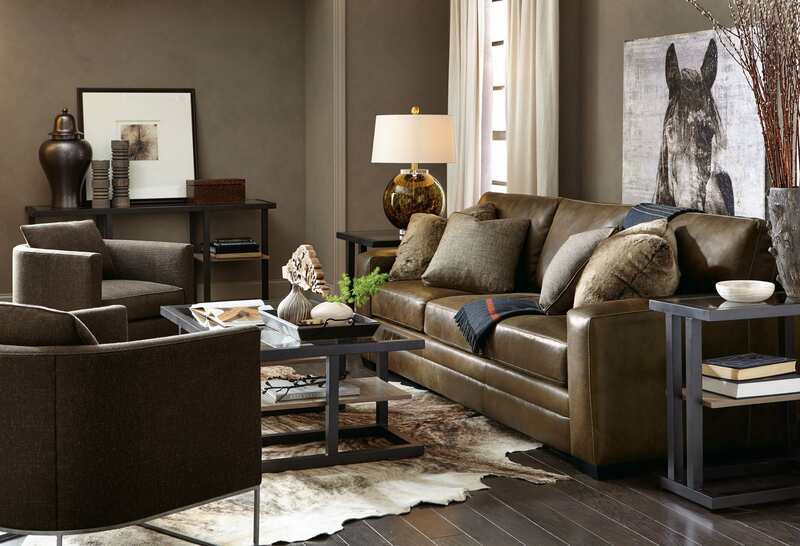 Mix lots of different finishes and textures across the furniture piece you’re styling. If you have glossy, ceramic lamps, add something with a chippy paint finish or a raw wood. You don’t want everything on your table to be either shiny/polished/glossy OR patina/roughness/grain. You want some of both. Negative Space – The power of nothing. No matter what you’re styling, leave some negative space. Group items together (maybe a set of musical instruments on a short stack of books) and leave some areas of your table empty. This applies to art on the wall, blank space or a wall without anything is like a comma or a full stop in a sentence. The opportunity to just stop and enjoy the moment! As a result your room will feel more balanced. Stay Tuned for more Adventures in Styleland. The family tree is so special every time I put it up. My children ask why I always get sad when we put the tree up and I tell them it’s a good kinda sad. I explained these memories on this tree are so sweet and time just goes by so fast. The tree is full of old ornaments from our parents, firsts for each of us, many meaningful ornaments, and handmade gifts. 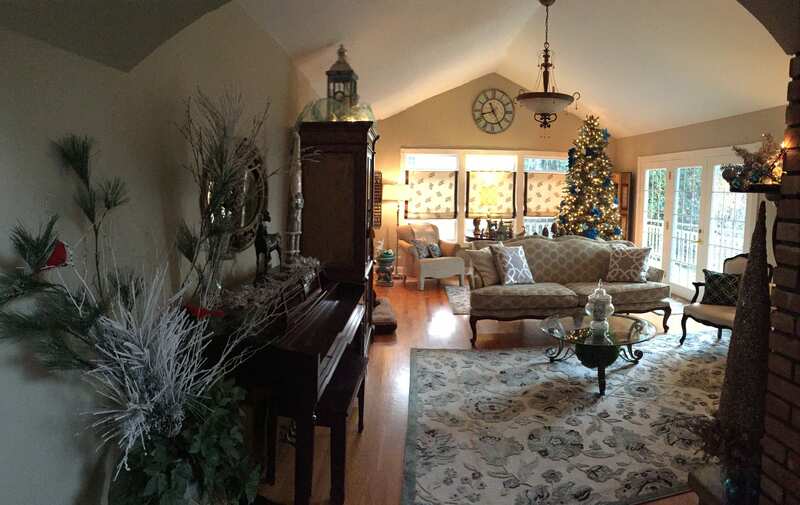 Decorating it is one of my favorite parts of the Christmas Season. 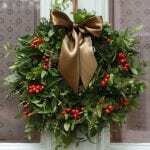 Wreaths – Christmas if full of meaning, not only the tree but also the wreaths on our doors and the meaning behind them is not what you might think. These decorations weren’t invented to spruce up your front door. Christians believe wreaths represent thorns worn by Jesus and the tiny red berries represent his blood. 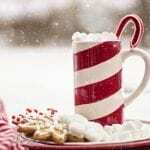 Candy Canes – People disagree on the origins of this holiday staple, but many say the white represents purity, the red represents Jesus’ blood shed, and the shape is supposed to be the staff of the Good Shepherd. Think about that the next time you enjoy this minty treat. 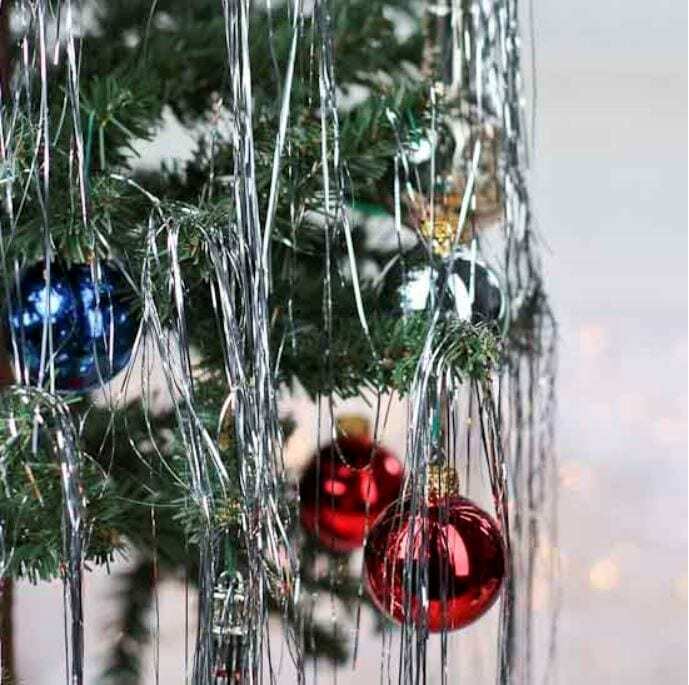 Tinsel – This shiny metallic glittering decoration symbolizes light, to ensure the forces of darkness would not have any power. 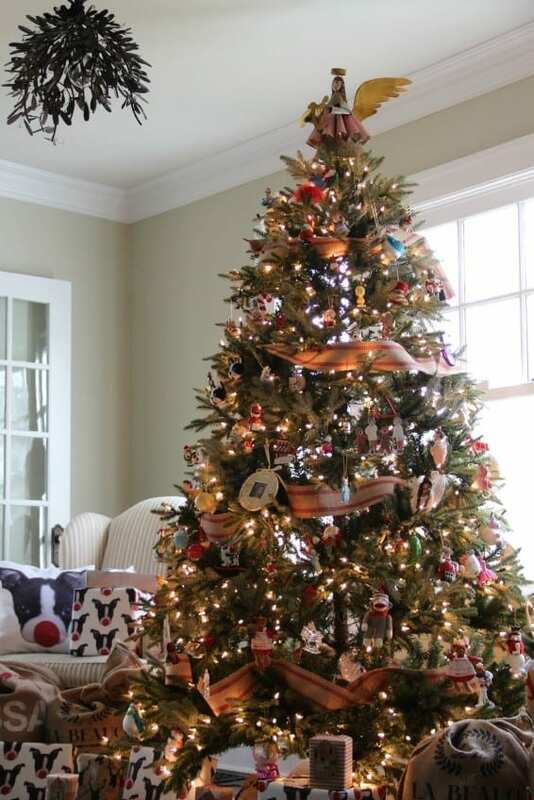 As a designer I always drool over the beautiful trees in department stores and adore trees with a theme! However, my Christmas trees have not always been stunning or a shiny glamorus themed beacons of light. 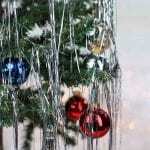 In the beginning they were collections of mismatched, homemade and sentimental ornaments. Not like those you’d see in the magazines. 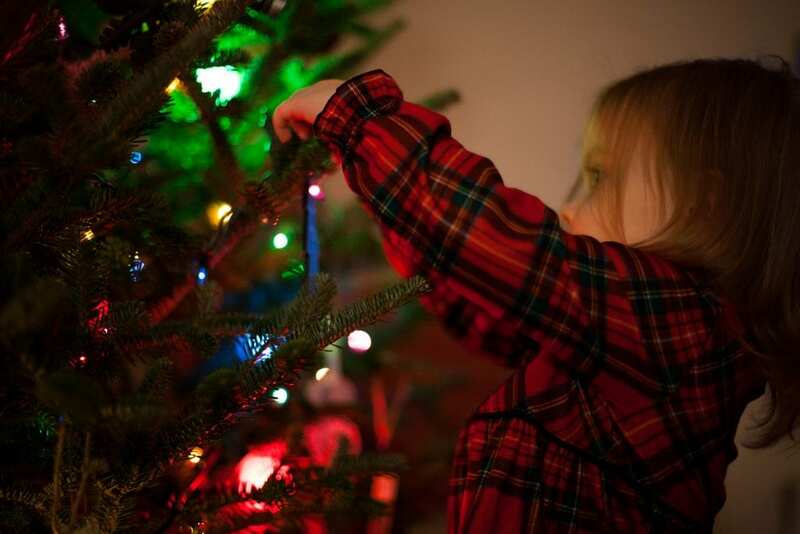 No, was our family tree that was chock full of homemade ornaments, ones that were given to us, or made by the children. I would get an ornament for my children each year that would reflect whatever their interests or hobbies were at that time. There have been musical notes, sports themes, and Hallmark Keepsakes ornaments too. As Always stay tuned for more Adventures in Styleland! After 2 days at the Home Expo there is still so much to see and do to keep you entertained as well as providing you with ideas and inspiration for your home! See our Saturday Highlights below from the Beekman Boys book signing and guess who our guest Chef was at the Rising Star Chef Pavilion today? Enjoy the pictures and share some of your photos with us on Facebook! First Day Of The 37TH Annual Home Expo!! What an amazing day! I got to meet and interact with so many wonderful and amazing people! There was a steady stream of people coming through the Times Union Home Expo this afternoon. The crowd was in good spirits despite the brisk 20 degree temperature. 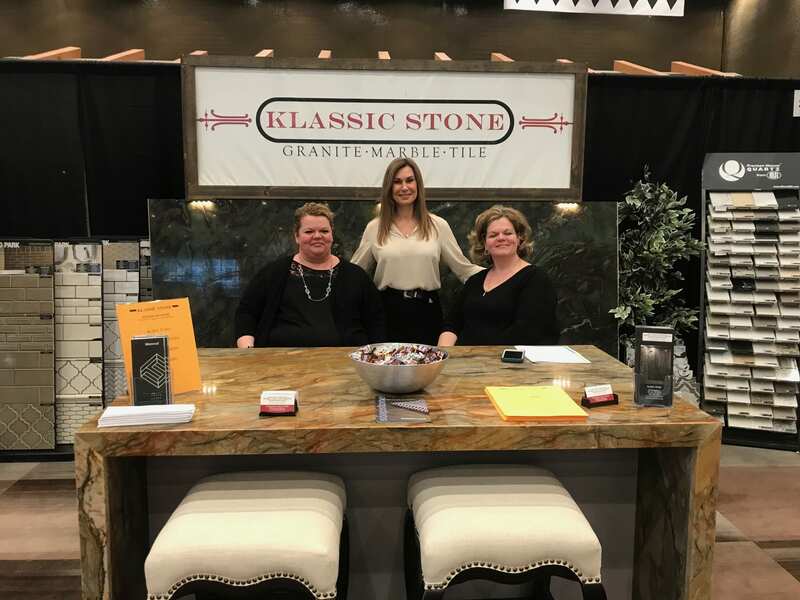 There was a great amount of anticipation as the last few vendors were busy putting together the final touches on their booths for the annual Home Expo.